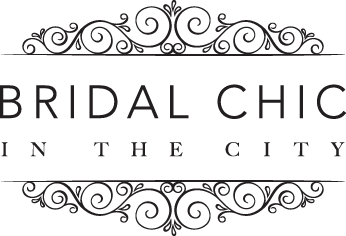 Bridal Chic – I’m ENGAGED!! – A Wedding Planning Journey. Firstly congratulations to our very own Bridal Chic bride to be Rachael and fiance Joe. Rachael is going to start blogging her wedding planning journey and sharing the insights, the ups and the down of planning this momentous day of their life. We know so many people in the industry that Rachael hopes to give you a good insight into why it is a fabulous thing to hire local suppliers. April 2017 a month to remember indeed.. what started as a lovely birthday spent with family and friends turned out to be the day I got engaged! HOORAY to say I was surprised would be an understatement..
We celebrated by eating delicious food in Grand Pacific washed down with champagne then kept it real and headed to our favourite pub for a beer.. it’s all about balance ya know? Immediately my mind is running wild with ideas and were discussing lots of different things from location, venue, bridesmaids all of it! Obviously it’s crossed my mind a few time in the past so I have an idea on what I would love to do and I have very strong ideas on what I don’t like…no one say chair covers too me please. NO ONE! I get ” oh you must have it all planned already” ” this will be the easiest thing you’ve ever done your so organised” etc etc. I work in events and I am a crazy wedding admirer who has a pinterest board waiting in the wings for every possible event but when it happens and you actually start planning a wedding ( for me anyway) my minds gone blank and I have found myself second guessing EVERYTHING I thought I wanted…So where do I go from here? Next up.. The Venue search has begun. Content and images Rachael’s own.